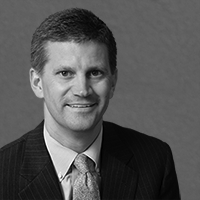 Managing Director Tom Chisholm consults on a wide range of executive benefits issues, including nonqualified benefit programs, employee retention, senior management compensation, change in control issues, and plan integration during mergers and acquisitions. Widely published, Tom is often quoted by the media on the topic of nonqualified benefits. Tom Chisholm is affiliated with Valmark Securities, Inc. Securities offered through Valmark Securities, Inc. Member FINRA/SIPC. Investment Advisory Services offered through Valmark Advisers, Inc. a SEC Registered Investment Advisor. 130 Springside Dr., Akron, OH 44333. 800-765-5201. Fulcrum Partners LLC is a separate entity from Valmark Securities, Inc. and Valmark Advisers, Inc.